Picture this: a deep turquoise lake nestled between perfectly forested hills. A small island in the middle of the lake beckons visitors to come and explore with its magnificent 99 stone steps rising from the water. These steps lead up to a little but impressive church. Meanwhile, giant snow-capped mountains, known as the Julian Alps, decorate the horizon. Tell me: what’s not to love about Lake Bled, Slovenia? Today, a growing number of people are developing a growing love for this region of Slovenia. It’s easy to see why. Yet, despite its present day popularity amongst travellers, I first laid eyes on a tiny little paragraph featuring the Slovenian lake nearly 15 years ago (in a 600+ novel categorized as a blend of historical and vampire fiction – may I embarrassingly add). Ever since that moment, I was determined to go to Lake Bled. Nothing was going to get in my way – even the area’s current status as a tourist hotspot. 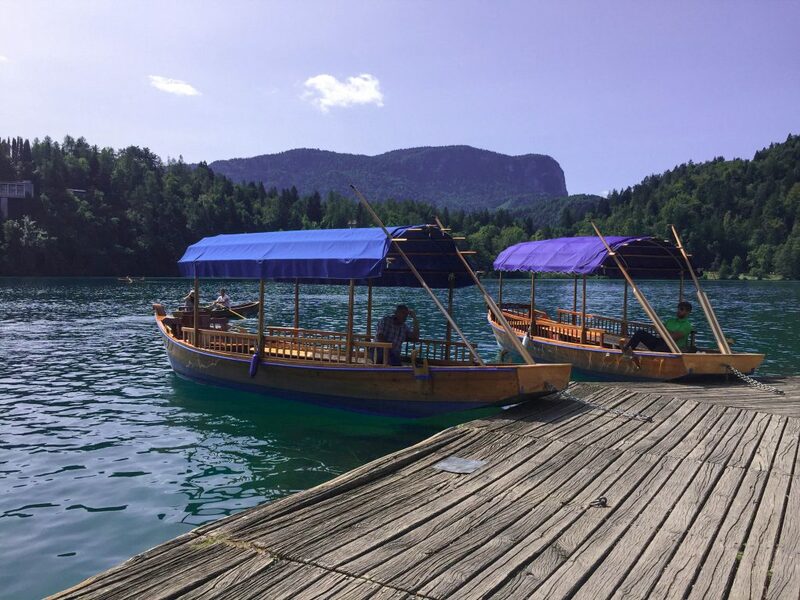 Now, one of the most popular Lake Bled activities is to take a boat, typically a traditional Pletna boat, to Bled Island. This activity is listed as a “must-do” on practically every Lake Bled guide. However, after spending a few days in the area, I discovered just how much more there is to see and do in and around Lake Bled. 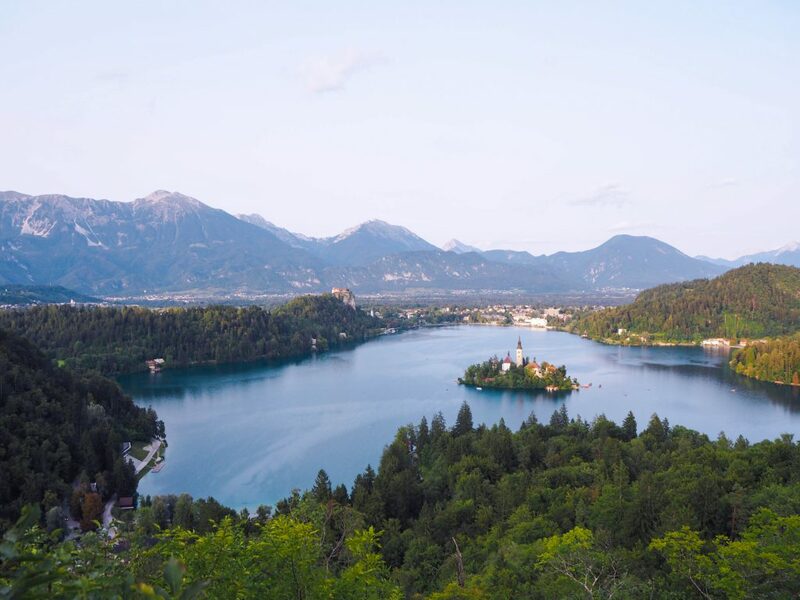 This post is dedicated to uncovering 7 of those other epically awesome activities that will make your summertime trip to Bled one to remember. Of course, if you must know more about those boat rides, you can find information about them near the end of the post. As always, I aim to include and cover activities that are as budget-friendly as possible. You know a viewpoint is worth the hike when you can take a drone-quality shot without a drone. Here we go again: I’m going to start off by writing about finding those bird’s-eye views. And this time, I’m going to be sharing the best viewpoints in Lake Bled. Let’s start with Ojstrica. Ojstrica is a hill found on the west side of Lake Bled close to Camping Bled. The hill’s summit is becoming an increasingly popular viewpoint. While I’ve seen hundreds of Instagram photos taken from this spot, I had to do some digging in order to pinpoint the hill’s name and location. Hopefully, this little blurb will save you spending too much time sleuthing the Internet for details. In order to access this viewpoint, you will need to reach the southwest corner of Lake Bled. There, you will find a dirt path heading up into the forest. Fortunately, the path is marked with two signs: Ojstrica and Mala Osojnica (a different viewpoint). Simply follow the one that says Ojstrica and head up. Overall, the hike up should take you around 20 minutes, and whatever you do, make sure to wear a reliable pair of shoes because it gets pretty rocky. Many people choose to visit Ojstrica’s summit to watch the sunrise. If you’re interested in embarking on that adventure, make sure bring a light source with you since part of the hike is in a forest. As well, if you want to take photos from the viewpoint at sunrise, be aware that you’ll be working with backlighting. Like Bled Island, Bled Castle is a sight that’s hard to miss. The castle stands on an impressive rocky precipice overlooking the lake. Parts of the castle are also estimated to be over 1000 years old. Its elevated location makes it the perfect place to capture spectacular panoramic views of Lake Bled. View of Bled, the town, from Bled Castle. Views of Lake Bled and Bled Island from the castle. In order to reach Bled Castle, you can take a path up from the town of Bled. You’ll need around 15-20 minutes to reach the castle. 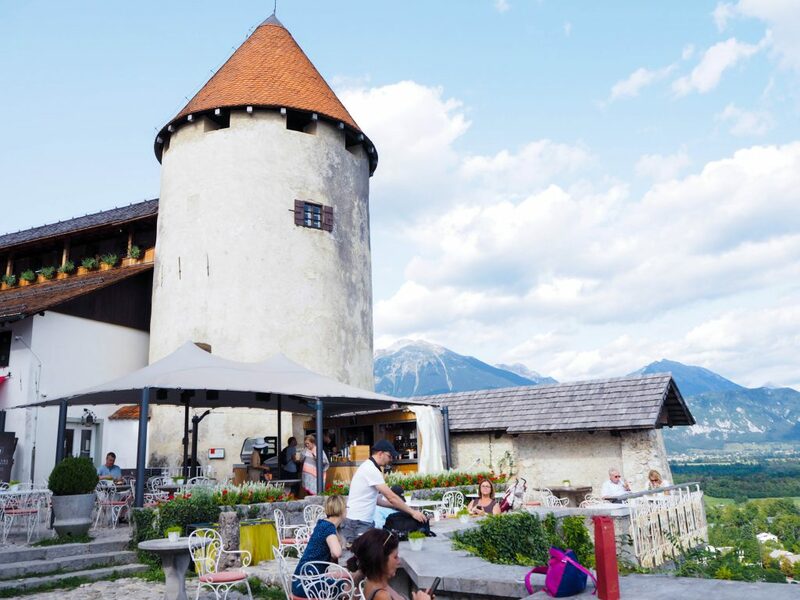 In addition to catching some bird’s-eye views from this medieval structure, you can also enjoy a delicious cappuccino at the castle’s courtyard coffeeshop, visit the museum tracing Bled’s history, or splurge on a fine dining experience at the castle’s restaurant. A stunning location for a coffeeshop. Tip: While snapping views of the lake may seem like all the rage, don’t forget to visit the castle walls and enjoy some equally amazing views of the Julian Alps on the other side of the castle. Panoramic views of Lake Bled don’t end with Ojstrica and Bled Castle. 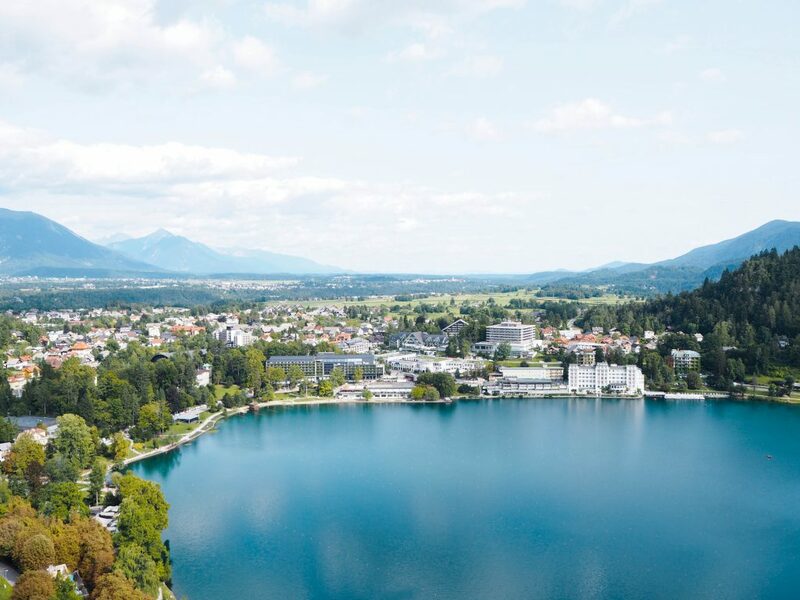 For one more spectacular bird’s-eye view from yet another angle, take the chairlift up or hike to the top of Straža Bled, which is a small ski hill on the southeastern side of the lake. 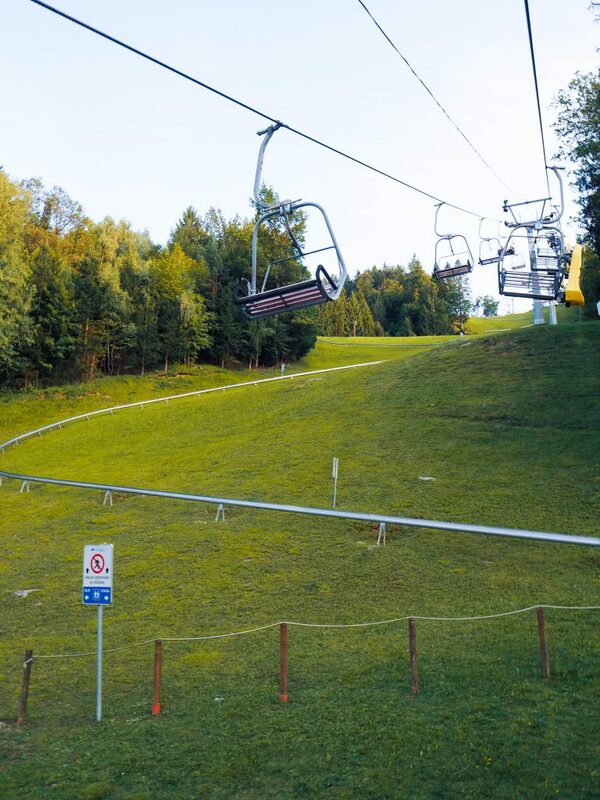 In the summer, an adventure park operates on and around the hill, so be prepared to find your inner child because there’s one exciting way to get back down: the Summer Toboggan. View of Lake Bled and Bled Castle from Straža Bled. I can never say no to an activity meant for children, especially if it offers an adrenaline rush while surrounded by fantastic scenery. (I’m still waiting for the day that I wake up and feel like an actual adult). Look at that exciting summer toboggan run! Due to thunderstorms, I missed out Mt. Pilatus’ summer toboggan last year, so there was no way that I was going to pass on Bled’s. For €8.00, I took the relaxing lift up and had the best laughing fit on the toboggan down (my reaction to adrenaline, I guess). Of course, if you don’t have a crazy need for speed, you can use a handbrake to control the speed of the toboggan cart. 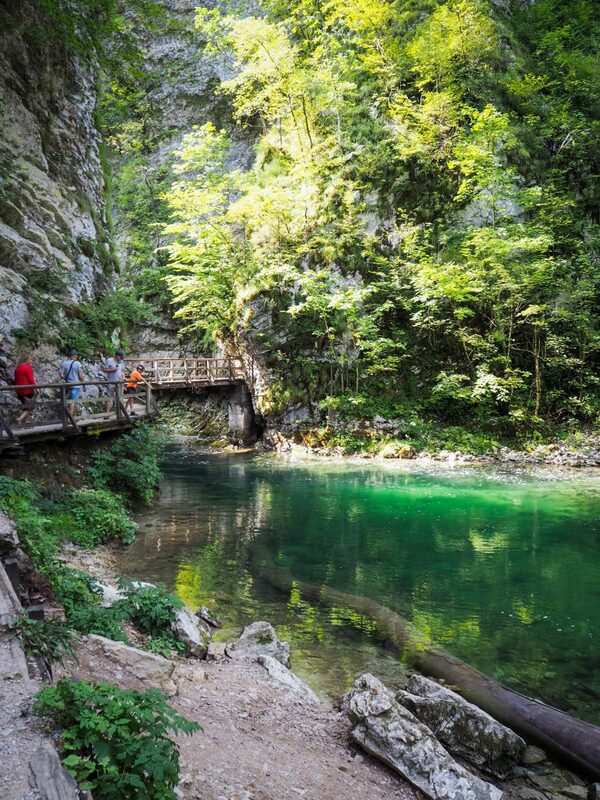 Less than 5 kilometres north of Lake Bled, you will find one undeniably beautiful natural wonder to explore. 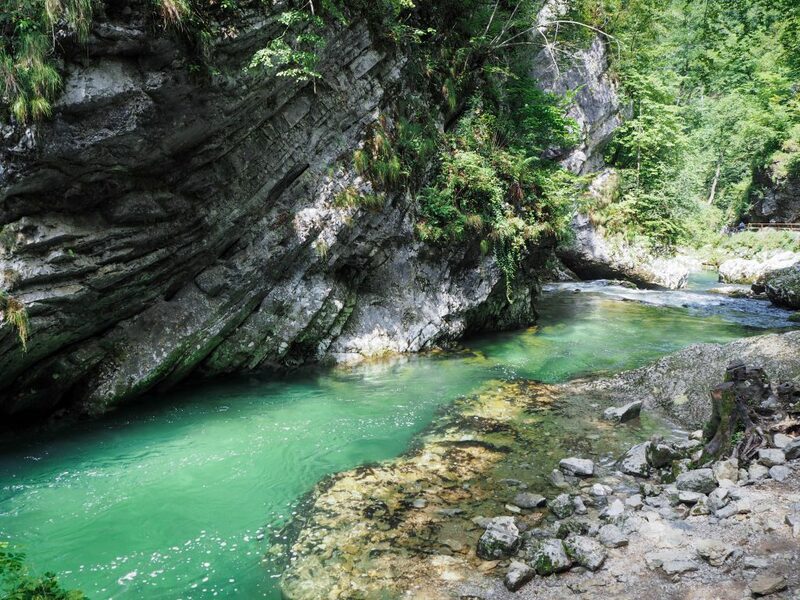 For just over 1.5 kilometres, the vibrant green Radovna River makes its way through the Vintgar Gorge. And it gets better: you can walk along paths and over wooden bridges inside the ravine. Rapid and waterfall sightings are also guaranteed. At this point in time, I’ll let photos of the gorge tell you why you need to go. Look at that emerald-coloured water! You can easily reach Vintgar Gorge from Bled. Some people choose to walk or bike over from Bled to the gorge. If you’re considering walking or biking, you should be aware that you will need to walk or bike along hilly and winding country roads with no sidewalk/bike path space. If you walk or bike, make sure to always be aware of the road traffic around you because the cars travel at pretty high speeds. Otherwise, Mamut Slovenija, an outdoor adventure tour company in Slovenia, organizes shuttle transfers between Bled and the Gorge. Their office is located right by the Bled bus stop, and a round trip costs €5.00. They drop you off right by the gorge’s ticket office and pick you up 2 hours later. Of course, you can also drive to the gorge. Entering the gorge costs €5.00 for adults and €4.00 for students. As a kid, I despised cake. My dislike ran so deep that I would refuse to sit or even stand at the cake table during at my own birthday parties. Yeah, I was a bizarre kid. Fortunately, all that has changed now (the cake thing because I think I’m still a pretty bizarre adult). Red velvet, tiramisu, and devil’s food cake – you name it, and I’m practically begging for a slice. So when I learned that Bled has its own special cake, I knew I had to give it a try. 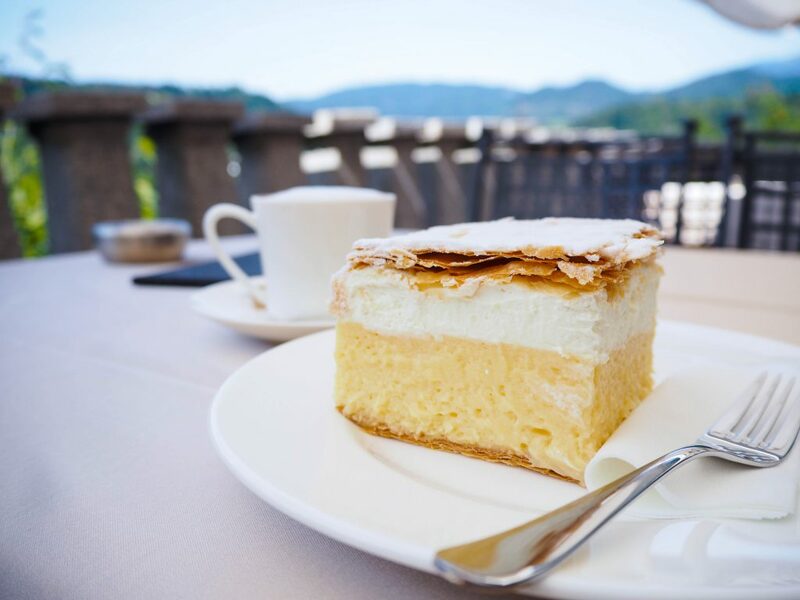 The Bled Cream Cake, also called Blejska kremna rezina, is one delicious vanilla cream and custard cake. A cake slice is typically served in the shape of a giant square, and the creamy filling is placed between two delicious and crispy layers of puff pastry. Almost all cafés and restaurants around the lake serve the cream cake, but I chose to taste mine at Café Belvedere since the view from the café terraces is nothing short of awesome. Be aware that the cake is super, super filling. If you don’t think you have the greatest sweet tooth in the world, consider splitting a serving. Of course you can rent a rowboat in Bled, but did you know that you can SUP (Stand Up Paddle board) on Lake Bled too? The lake’s storybook-quality scenery and clean (+ generally calm) waters really make it the perfect place to enjoy or even try the sport. 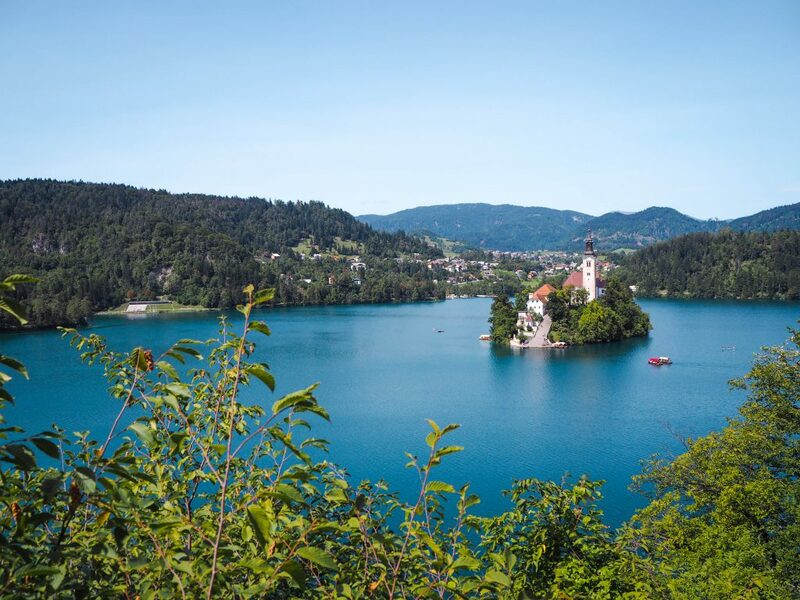 As well, if you want to pay Bled Island a visit, you can paddle to the island! Being mesmerized by views of Lake Bled from land is one thing. Catching views of the area from the water is an experience on a whole different and awesome level. Many facilities around the lake rent paddle boards for an hourly rate (generally €10.00 per hour). Some Slovenian companies, such as Bananaway, also run guided tours around the lake. 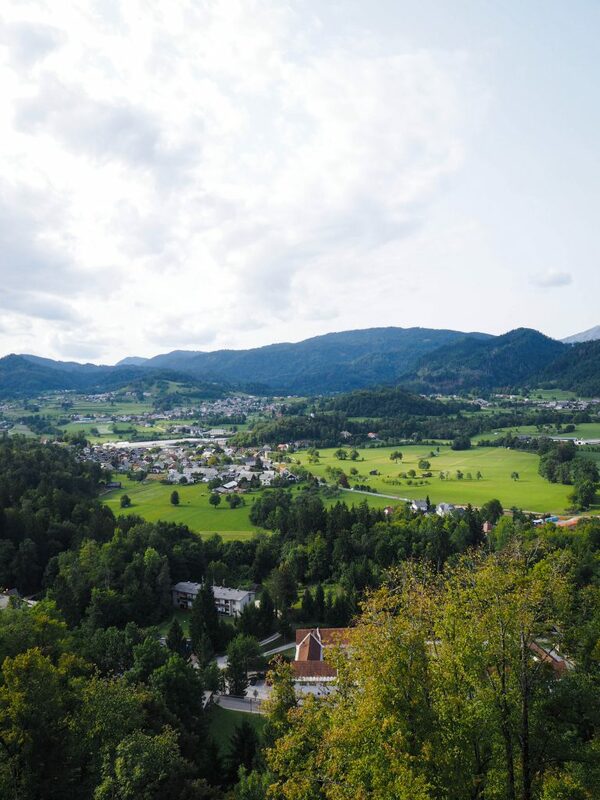 Nevertheless, if you’re on a quest for an even greater adventure, many adrenaline-filled excursions, such as rafting, canyoning, and paragliding, operate out of Bled. Feel free to check out the adventure activities Mamut Slovenija offers by clicking here. 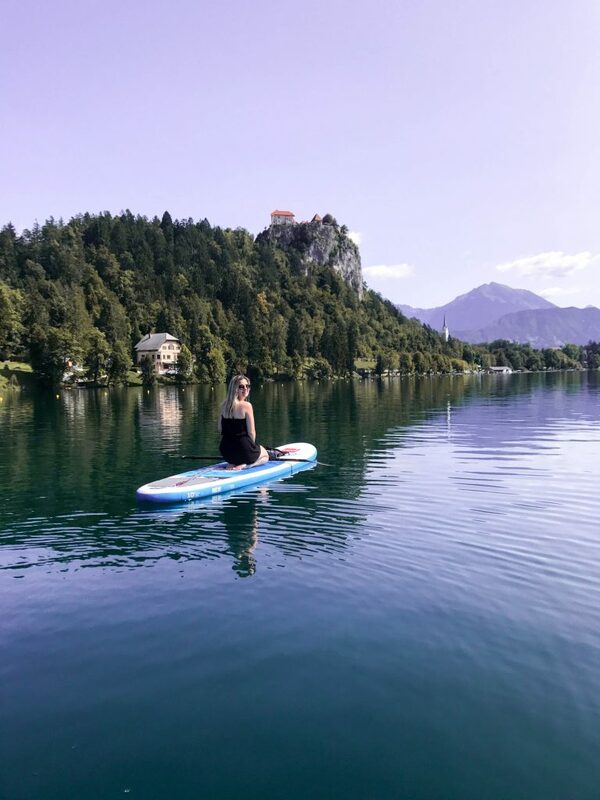 Want to know more about stand up paddle boarding on Lake Bled? Find out all you need to know to SUP on Lake Bled by clicking here. I’ve already recommended hiking up various hills around the lake, so this last recommended activity is one that generally won’t make you break a sweat (unless you choose to do it in 30+ degree weather). Overall, a relaxing walk around Lake Bled is a fantastic way to catch even more beautiful views of the lake from hundreds of different angles. Now, locals claim that you can walk to the other side of the lake in less than 25 minutes. I don’t know if it’s just me, but I needed a good 50 minutes to get halfway around…maybe stopping every 100 meters to snap some photos had something to do with it? Anyway, it will take you more than 25 minutes. Of course, there is a designated walking path that goes around the entire lake. A shot from the north side of the lake. A snap from the west side of the lake. If you decide to walk around the lake on a hot summer’s day, feel free to jump in the lake to cool down (just make sure there are no signs prohibiting swimming in that section). Just like renting a paddle board, many places around the lake rent rowboats or offer Pletna boat rides. Simply walk around the lake and choose your desired point of departure. However, it may be useful to know that visitors typically choose to go on Pletna boat rides from the town’s waterfront or from the south side of the lake. A round trip Pletna boat ride costs €12.00, and you can rent a rowboat for a similar hourly rate. After spending three days in and around Lake Bled, I understood why I had been drawn to the area for nearly 15 years. The region’s natural beauty and rich history left quite the impression and made me feel like I’d been whisked away into a whole other magical world. Despite the path around the lake being only 6 km long, the area offers visitors a whole variety of memorable activities and adventures! As always, I can’t wait to go back! Have you visited Lake Bled? Do you want to? Share your thoughts and experiences in the comments section below! Thank you! Slovenia definitely is a magical place! I am already trying to figure out when I can go back. Wow, such a wonderful place to visit. The view from the top is to die for. I love the small castle in the middle of the lake. It really is a place with tons of exceptional views! Thank you! I couldn’t agree more with adding Slovenia to your “must visit” list. I’m obsessed with the country! The river really had a beautiful colour! At the start of the gorge, it has the slightest green tint, but the colour becomes more vibrant the further in you go. Wonderful post as it took me down memory lane! I was in Bled over a year ago and loved everything about this small little place! Really is quite beautiful there! I went in the Fall time, so it was much too cold to actually go supping or check out the gorge – but one day, I’d like to go back and do those activities! It really is an incredible place! I bet it was stunning in fall with all the leaves changing colour! Wow, you really made the most of your time in Bled! I just spent the afternoon there, having a little swim and taking a walk around the lake – didn’t even make it up to the castle! 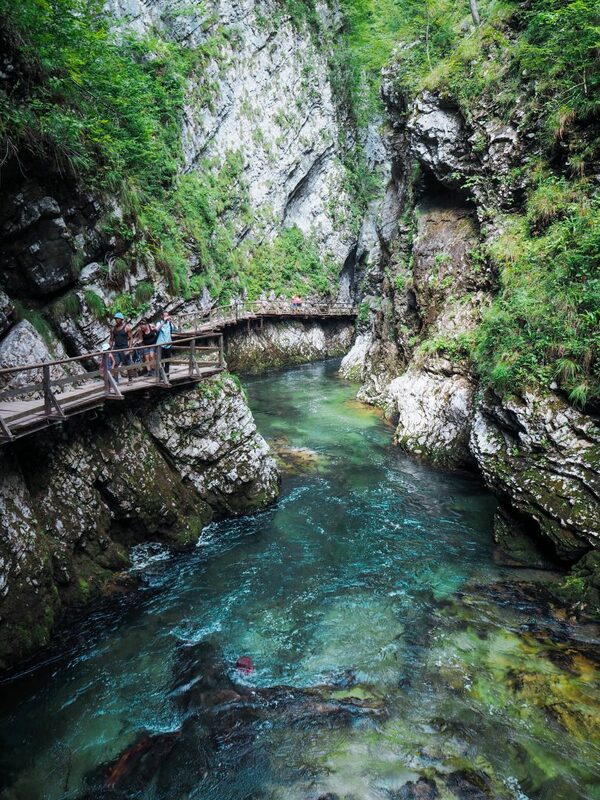 Vintgar Gorge looks incredible as well, I’m gutted I didn’t know about that when I visited! Fortunately, Slovenia is a pretty centrally located country! I’m sure you’ll have the chance to go back! On a different note, you’re right – it really seems like I was on a mission to do it all! What a picturesque town – it looks like it’s out of a fairy tale! I would love to hike through, Vintgar Gorge, too, it looks incredible. Slovenia has been on my list for a long time, just haven’t managed to get there. Lake Bled will definitely be on the agenda when I go, and thanks for all the great tips. Thank you so much! Bled definitely deserves to be on every traveller’s itinerary! Nice article about things to do in Lake Bled. I shall be visiting Lake Bled around the first week of October 2017 from Ljublyjana by bus. Would I have enough time if I want to climb up the hill at Ojstrica to catch a panoramic view of Lake Bled and also make it to Vintgar Gorge all in one day?